The Hyundai Elite i20 1.4 Sportz has a 1.4-litre diesel engine under the hood, mated to a 6-speed manual transmission. The diesel engine churns out maximum power of 90PS at 4000rpm, peak torque of 219.7Nm between 1500-2750rpm, and has a claimed fuel efficiency of 22.5kmpl. The Hyundai Elite i20 1.4 Sportz is priced at Rs 7.69 lakh (as of May 30, 2017, ex-showroom Delhi) and is Rs 1.2 lakh more expensive than the Sportz variant which has a 1.2-litre petrol engine and a 5-speed manual transmission. The Sportz is a mid-level variant of the Elite i20 and has a decent amount of features on offer. It has driver and passenger airbags, and Antilock Braking System (ABS) is offered from this variant onwards. However, it does miss the side and curtain airbags offered on the top variant. Other features include front fog lamps, height-adjustable driver's seat, electrically adjustable and foldable outside rear view mirrors (ORVMs) with turn indicators, cooled glove box and rear AC vents. When we compare the Sportz variant to the other top variants, it does miss a lot of features. You don't get reverse parking sensors or reverse parking camera, height-adjustable seat belts, projector headlamps, LED DRLs, alloy wheels, 60:40 foldable rear seats, push button stop/start, automatic climate control, tilt and telescopic steering wheel and rear wiper and washer. The Sportz variant also misses the 7.0-inch touchscreen infotainment system with Apple CarPlay, Android Auto and Mirrorlink connectivity, and built-in navigation. 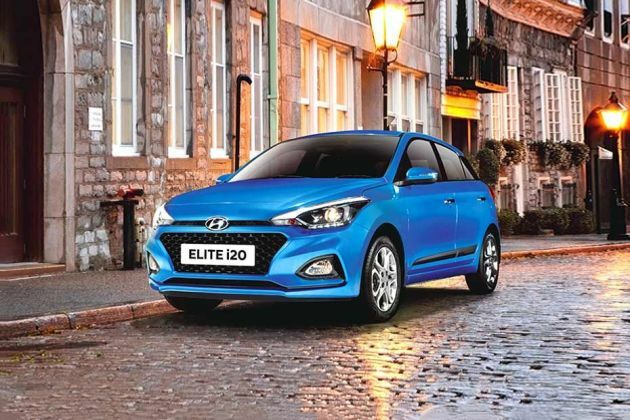 The Hyundai Elite i20 1.4 Sportz competes with mid variants of premium diesel hatchbacks like the Maruti Baleno and Honda Jazz.